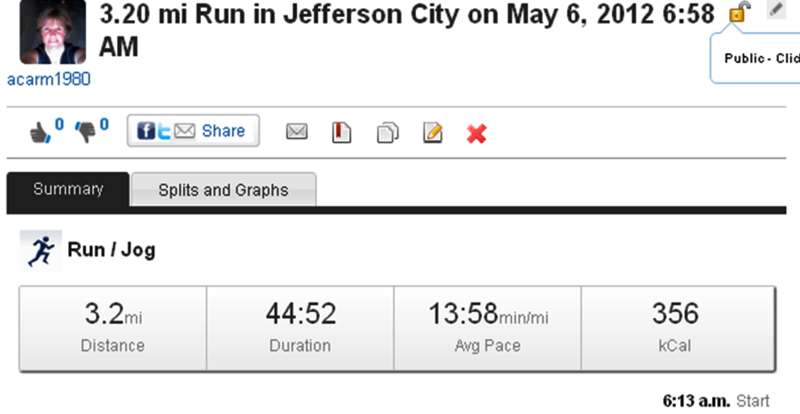 I know it doesn’t look like improvement… an average pace of 13:58. However, I struggle with a long incline that you can see below the map. 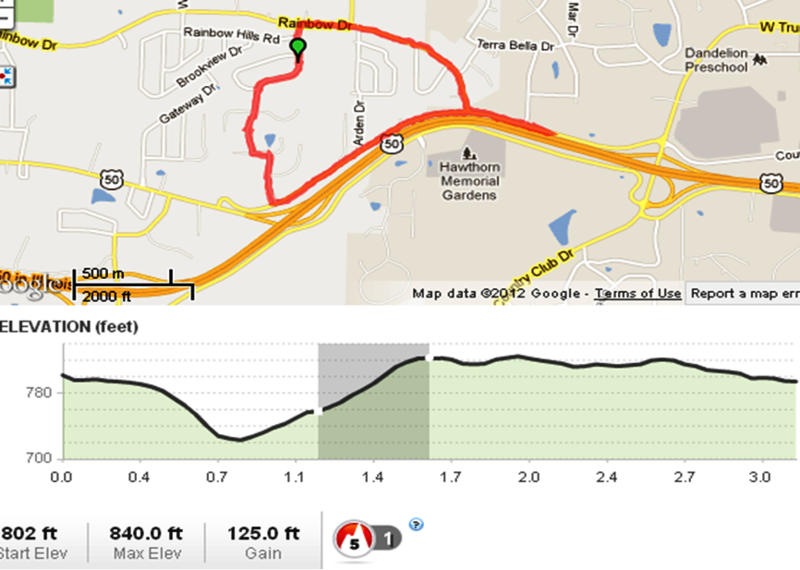 This is the first time I’ve ever run this entire route without stopping. Even though humidity is so heavy you can cut it with a knife (72 degrees/ 82% humidity), I was still able to continue jogging up that long slow incline that I had not done before. Then in addition to that, a steep shorter hill towards the end was no picnic but I swung my elbows back further to get momentum. I made it to the top and kept going. The end of the run I walked some and then did stretches. Heart rate 20 minutes after finishing was 120. Now after 90 minutes it is 89. My breathing is getting better and I don’t cough now when I finish like I used to do before. Bruce Lee was one who knew that physical strength and endurance depended on your lung capacity. That has held me back for so long…but not any more. That is a major break-through for me. Here’s an image of it from our deck. The lights at bottom of pic were houses and other city lights. I didn’t see any of the shooting stars (from Haley’s Comet – meteor shower) this morning between 4:30 – 5:30 am. 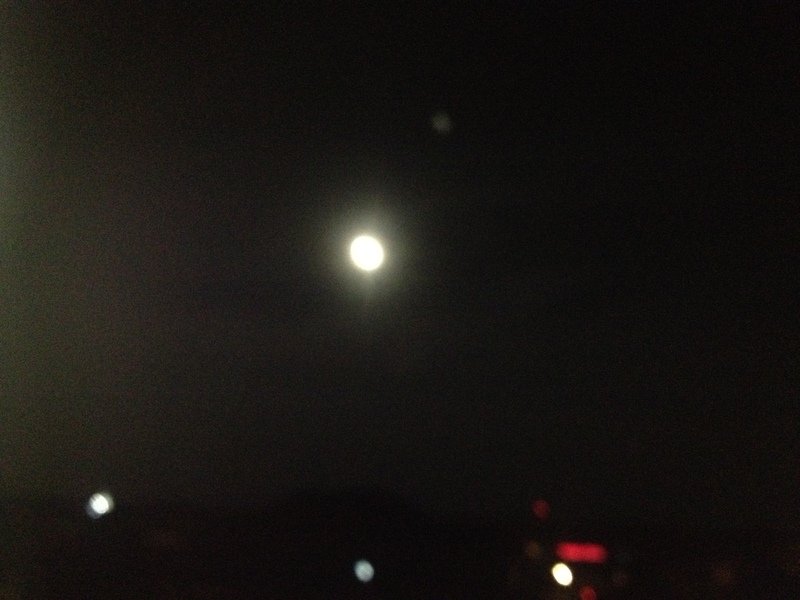 The moon was just too bright. Earth Sky has great pictures on their Facebook page too if you really want to see some great images of the astronomical occurrence. The last time there was such – March 2011. This entry was posted in running, Training. Tagged Bruce Lee, Comet, Earth, fitness, Halley's Comet, health, healthy-living, Humidity, Meteor shower, Moon, Nature, Road running, Running, Supermoon, Training, vacation. Looks like improvement to me. That’s great! I never knew that about lung capacity being related to strength and endurance. But it does make sense. You are just a font of information! Thanks! I am learning as I go – fascinating stuff!